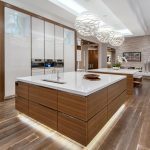 Custom Cabinet Features & Options | Bow Valley Kitchens Ltd.
Do you often feel that you should be getting more in terms of functionality from your kitchen cabinets? Or that the designs you find online or at the hardware stores do not match your tastes and personality? 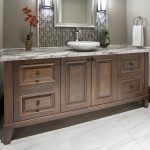 It is time you tried custom kitchen cabinets. Modern tech has come into the kitchen allowing adding a personal touch to how your cabinets work and look. Soft close doors and drawers: Stop waking people up in the morning with these doors that reduce the banging coming from the kitchen. Adding a roll-out tray: Normally accessing items in the back of below knee level drawers involves kneeling so that you can reach. A Roll Out tray is installed by adding a rail with ball bearings for easier rolling in and out the drawer. You no longer have to struggle with stuck drawers. Adding a Lazy Susan: It is irritating losing items in the space at the back of the drawer. A Lazy Susan helps access items with a simple spin. Installing a tip out tray: This is added to the sink area to hold all those cleaning items that don’t look so good like scouring pads and gooey soap dishes. Replacing wooden doors with glass inserts. Sliding inserts look more elegant than hinged ones. This allows you to display your fine china and other favorite pieces. Have mixed heights, depths, and widths for the drawers. This breaks the visual focal points of the wall and catches the eye of every kitchen visitor. A customized kitchen done right gives the home value a boost as these customized features are becoming more of the expected standards rather than luxurious choices. Customization should follow the styling of the kitchen. It is best to make customizations that are not too eccentric, in case you have expectations of selling the house in the near future. Engaging a professional when choosing your custom options is a very advisable idea. But the costs involved in customizing your kitchen will always have a higher functionality and aesthetical return on investment.